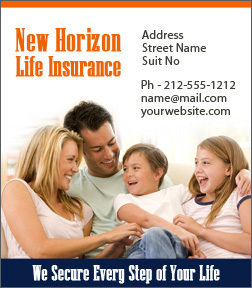 A 3.5 x 4 inches square corner life insurance refrigerator magnet can be sought by advertisers specializing in life insurance services. This refrigerator magnet can serve as a best business gift in all seasons. Advertisers employing this magnet for promotion can always hand it over as a brand promotion token during some special social events or at other times.